McGillin's Old Ale House is a rather popular destination for Uber users on Thanksgiving Eve. It's around this time when we begin to speculate: What random places do we think are haunted? 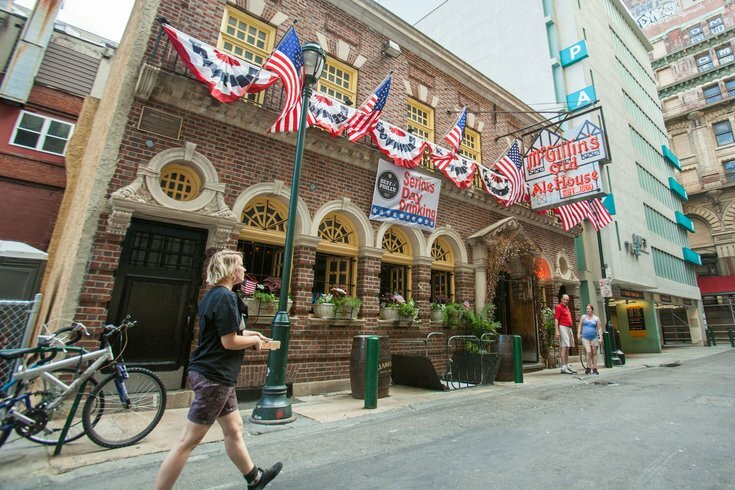 To satisfy this appetite, CBS3 interviewed the owner of McGillin's, the oldest continuously running bar in Philly. Not surprising. I have often been haunted by the hangover of $3 Citywide specials, painfully off-key karaoke singers and the Friday night crowds of college kids who swarm McGillin's. Mullens Jr. told CBS3 that many think it's the ghost of Catherine “Ma” McGillin, one of the bar's original owners, who still roams the establishment. I would speculate this is an appropriately timed attempt to drum up business to an already popular bar.